The “river” part of the 36th annual Cambridge Arts River Festival is more conceptual than literal this year, providing a steady stream of entertainment, cuisine and community along Massachusetts Avenue and down Sydney Street in the Central Square Cultural District rather than by the Charles. Along with the change in location – last year’s was moved into University Park by riverside construction – festival goers will find plenty of new details among the event’s traditional outlines. Once again, some 200,000 people are expected to throng the festival, finding six stages of jazz, folk, roots and world music, theater and dance; community tables; poetry and storytelling tents; interactive areas that include a chalk art tribute to the artist known as Sidewalk Sam; roving performances; and a World of Food; Arts Bazaar; and two Brew Gardens, with more than 150 specialty food purveyors, crafters and artisans showing and selling their wares. 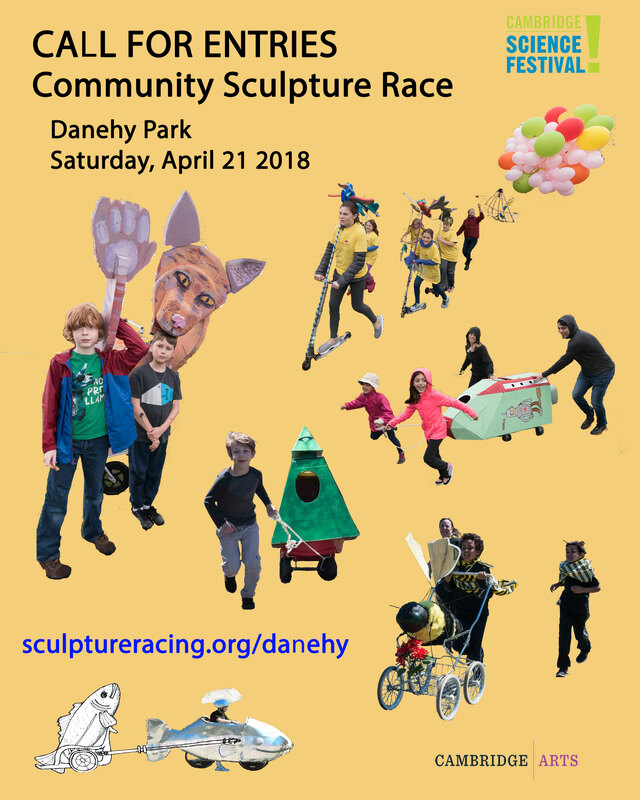 Leading off the River Festival is the inaugural race of a revived People’s Sculpture Racing program (called World Sculpture Racing in the 1980s), with 17 contenders pushing, pulling or pedaling sculptures along a three-quarter-mile course on streets south of the festival grounds. 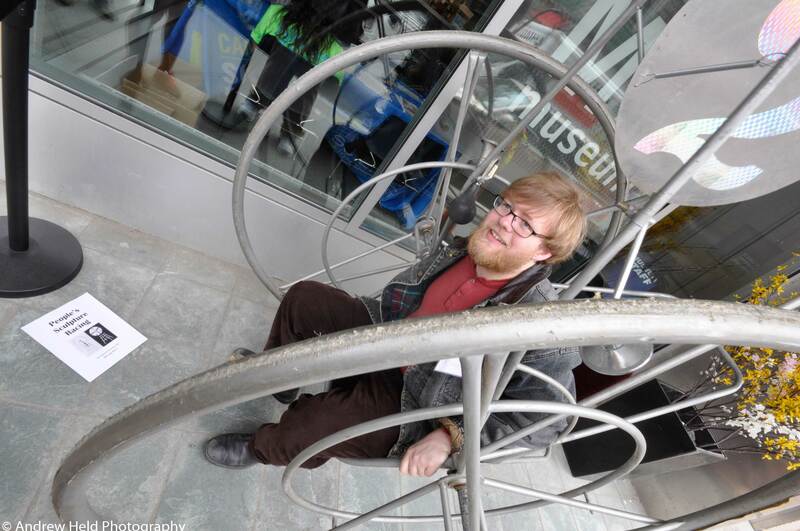 The competitors include teams from Artisan’s Asylum, Harvard physics and Art in Education, and the artist Mitch Ryerson. People’s Sculpture Racing is purposely less engineering-oriented than the often bicycle-mounted Kinetic Sculpture Racing community and more skewed to the whimsical and aesthetic – and closer to the spirit of the 1980s version that inspired years of sculpture racing in Cambridge and across the country. The race caps a series of juried entries, workshops and exhibitions overseen by large-scale sculptor Mags Harries; Nick Capasso, director of the Fitchburg Museum of Art and former deputy director of the DeCordova Sculpture Park and Museum; and Laura Knott, who curated a recent Kinetic Art Show at the MIT Museum. The museum hosted a shorter, six-sculpture race demonstration April 26 that was officiated by artist and Lesley University College of Arts and Design professor Geoffrey Koetsch, co-inventor of the original World Sculpture Racing model, but the River Festival gets the first full-fledged competition in years. After the race, the racing sculptures will be displayed at the festival. The free Cambridge Arts River Festival is from noon to 6 p.m. June 6, rain or shine, on Massachusetts Avenue between Prospect and Sidney streets, and down Sydney Street to Pilgrim Street. 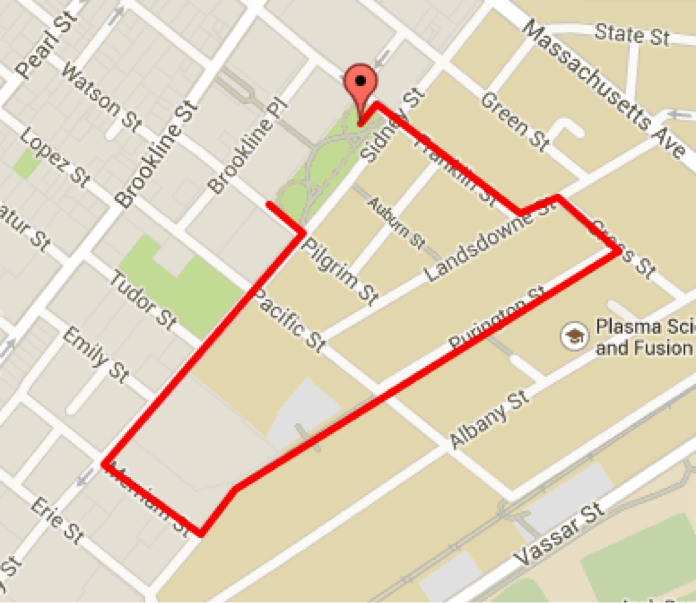 The sculpture race begins at 11 a.m. at Sidney and Pilgrims streets. A map of the racecourse is here. This post was updated June 2, 2015, to add links to the official festival guide and note that the festival extends into University Park off Massachusetts Avenue.